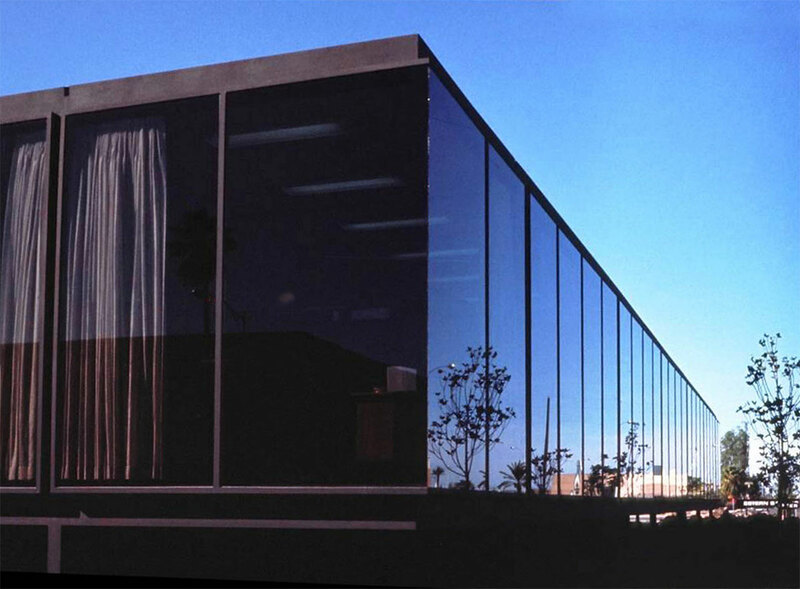 This sleek glass box was originally deisgned by Beadle to serve as the Western Savings Headquarters near Park Central Mall. 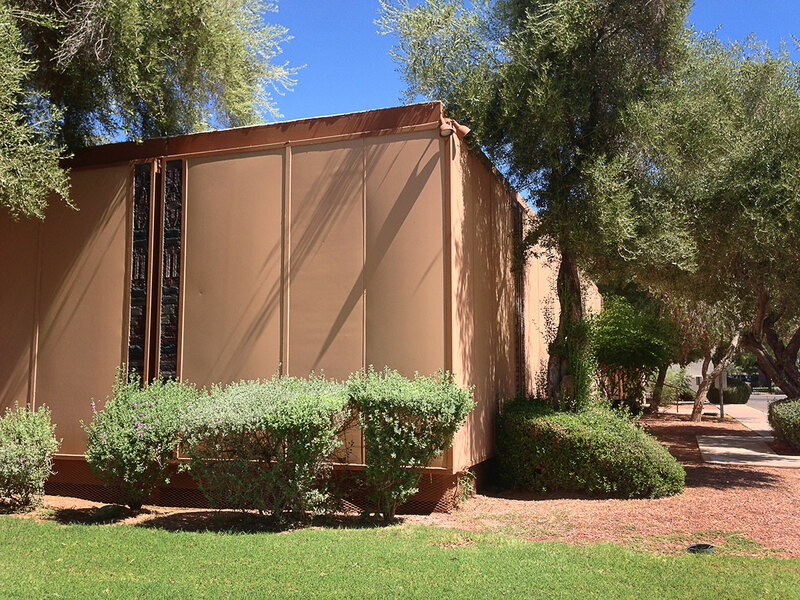 When the Phoenix Finnacial Center space became available and Western Savings relocated there instead, the unused Headquarters was picked up (!) 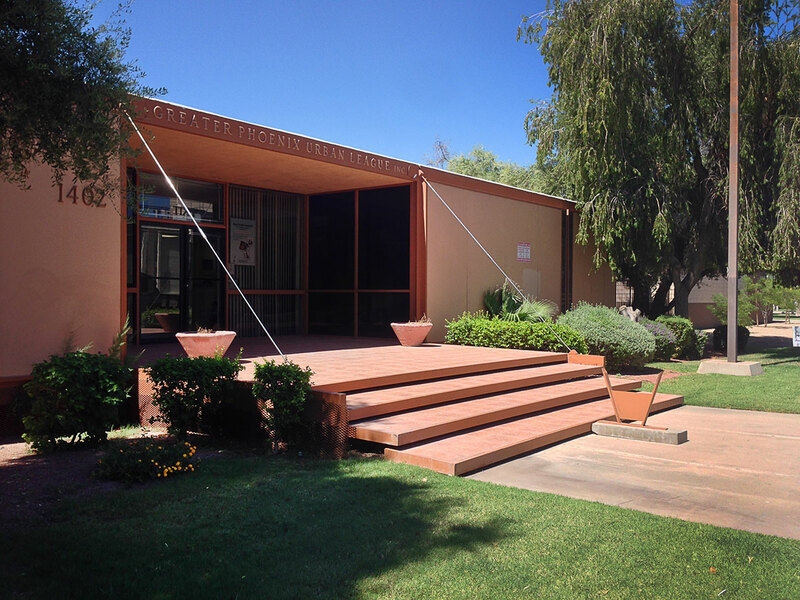 and moved to its current location on 7th Avenue south of Buckeye. 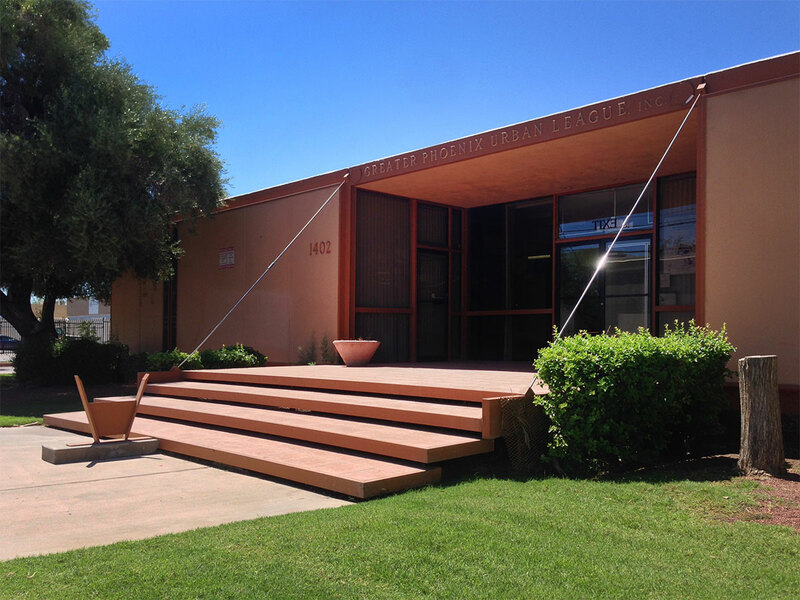 The Phoenix Urban League, former Western Savings circa 2006 Now in a rough downtown location in the center of a social services cluster, the floor to ceiling glass took some abuse over the years. 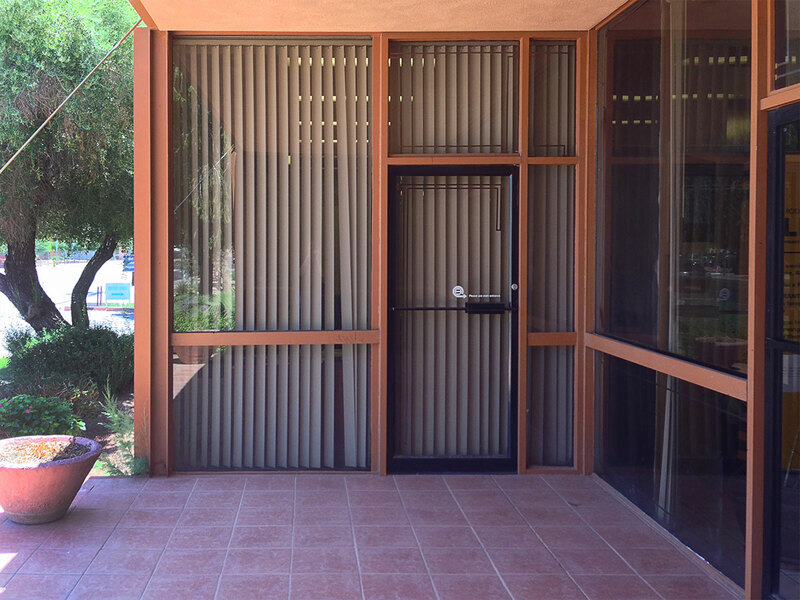 Vandalism necessitated reconsideration of how to keep the building secure. 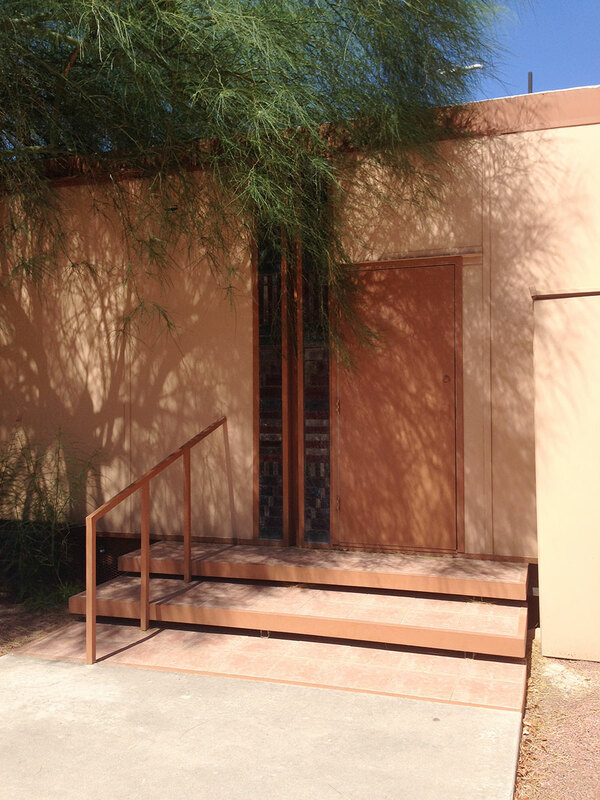 George McGrath did a remodel and applied the teal-colored panels to the exterior and added stained glass. 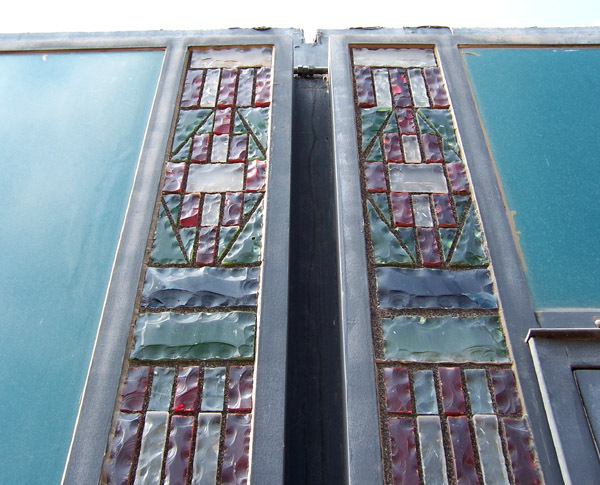 The double stripe of windows is similar to those used at Three Fountains. Sometime in the last few years the teal was replaced with a matte beige. We're not exactly thrilled about how this one turned out, but the story's not over. The structure is sitll intact but it will be up to the citizens of Phoenix to decide whether or not Phoenix can have nice things.